MLB reports: Welcome to MLB reports Brandon. We are very glad that you have been able to join us today. Let’s the hit ground running. Firstly, as a youngster, who was your favorite baseball player growing up, that you most idolized and patterned your game after? Brandon Meredith: I idolized guys like my coach Tony Gwynn at SDSU (San Diego State) and I loved watching Frank Thomas play the game growing up. 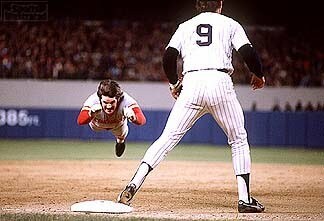 But I most pattern my game and like to play like Charlie Hustle (Pete Rose). All hustle, all the time. MLB reports: You certainly were lucky to learn from Tony Gwynn, considered one of the best hitters that the game has ever seen. From the the current crop of players, which MLB star do you most admire and why? Brandon Meredith: I like a number of guys, I can’t say that I can pick just one. The players that I most look up to have the same qualities. They bring it every night. They hustle and play the game to win. Those are the guys that I work hard to play like and mold my game around. MLB reports: What are your proudest accomplishments in baseball thus far Brandon? 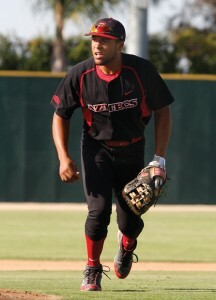 Brandon Meredith: My proudest accomplishment is getting drafted and having the chance to play professional baseball. To get to this point and be a part of a major league baseball organization, I have made it much farther already than many players. I truly feel blessed to be able to have this opportunity. Brandon Meredith: I was excited to get on the field and get into games fairly quickly. I want to learn and grow as an individual, as well as a baseball player. I want to learn the pro-style game of baseball and become strong in every facet of the game. At the end of the day, I want to be able to look back on this season and my career and know that I always gave everything I had and to have no regrets. MLB reports: When you first found out you were drafted, what were your reactions? Did those reactions change over time? What was the process like being drafted originally by the Rays in 2008 and what were the factors in not signing with Tampa Bay and Houston originally? Brandon Meredith: When I was drafted this year, my first reaction was to reflect on the time I had at San Diego State. It felt weird to know I was going to sign and not be a part of SDSU any longer. The process was a good one in high school. I learned a lot from being drafted at a young age and being a part of the draft process so early in my life. I learned that a person should not expect too much from the draft process. Let it come from you. The factors that led to me not signing was partially the amount of money involved, but also the fact that I felt that I was not physically and mentally prepared to take on pro-ball before. I wanted to develop as a player and person at the college level and become a professional baseball when the time was right. 2011 turned out to be the right time for me. Brandon Meredith: I feel like I am a good and patient hitter. I know the strike zone and have a strong understanding of my swing. Overall, I feel that my biggest skill is my knowledge of the game and the fact that I love to play the game hard, every inning of every game that I am on the field. Brandon Meredith: No matter how long I play this game, there will always be areas of improvement to bring my game to the next level. I need to improve on arm strength and quickness. I want to be an all-around baseball player, as both defense and offense are important to me. I also work hard on the ability to hit for power, without sacrificing getting on base and stealing bases. 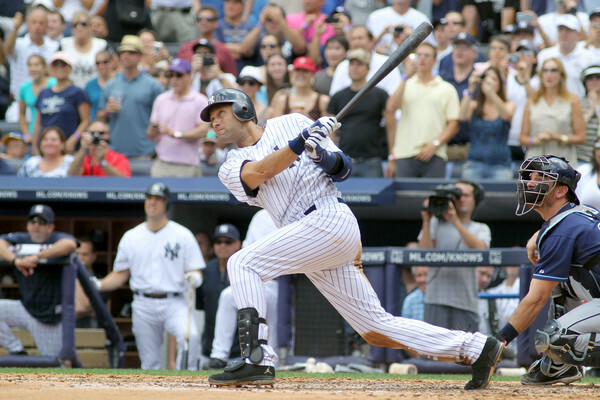 MLB reports: How do strikeouts and walks figure into your game? Brandon Meredith: I hate striking out first of all. 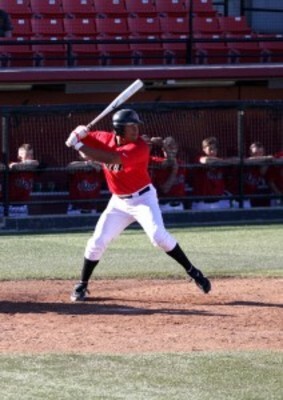 I love to walk more than strikeout and walks will always be a very important part of my game. I like getting on base and making things happen. I am working hard on pitch recognition and knowing my strike zone so that I can cut down on strikeouts, which I look to improving upon as much as I can as I continue to play the game. MLB reports: Long term what position do you see yourself playing? How do you see defense as part of your overall game? Brandon Meredith: I can see myself staying in the outfield and playing left field. Defense is a big part of my game. I feel that I am a good outfielder. While I recognize that there are areas that I have to work on, overall I pride myself on being solid defensively. I put a great deal of work on the defensive part of my game and while I can’t promise that a gold glove is in my future, I am definitely working towards being the best outfielder that I can be. MLB reports: Has pro ball been everything you expected it to be thus far? Tell us about your experiences thus far Brandon. Brandon Meredith: I truly love being a part of professional baseball. It is the most fun that I have had in my life. Interestingly, it feels so much easier than the college game. I feel more relaxed, both mentally and physically. Now I only have baseball to focus on. The best part is that I have baseball and that’s it. I get to play everyday and love my job. The only downside so far is the cities that we are traveling to are new to me and experiences that take time to get used to. But overall it has been a great experience and ride so far. MLB reports: With working so hard on the field, chill and down time off the field is very important I’m sure. Who do you most hang out with on the ValleyCats Brandon and what do you do for fun? Brandon Meredith: I love to be competitive with my teammates. We play everything from call of duty to ping-pong. I hang out with Neiko Johnson, Zachary Johnson, Jacke Healey, Nicholas Tropeano, John Hinson, and Andrew Muren the most. Brandon Meredith: I feel that I could potentially be there in three to five years. Playing in Houston for the Astros is what I am working towards and will do everything that I can to make my dream come true. For that to happen long-term, I will to need to hit for more power and work hard on my defense and quickness. MLB reports: A big thank you to Brandon Meredith on joining us today on the Reports. We wish you the best of luck on your baseball journey to the big leagues. We definitely encourage all our readers to feel free to contact Brandon with your comments and questions on his twitter handle. Brandon loves interacting with the fans and is a must follow! MLB reports: In the history of baseball, 53 players have been able to achieve a streak of 30+ consecutive games with at least one hit. Andre Ethier, the 29-year-old outfielder for the Los Angeles Dodgers is ironically sitting as of today on a 29 game hitting streak. Ethier missed yesterday’s game with elbow inflammation and his team has a day off today. On Friday, assuming reports are correct that Ethier will play, he will attempt to become player #54 of this exclusive major league club. Quite the list of the who’s who in baseball. 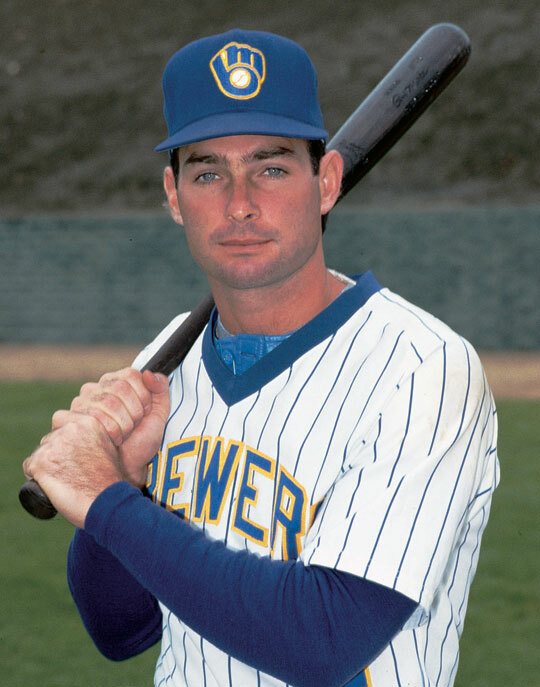 Pete Rose at 44 and Paul Molitor at 39 are two of the most recent players in recent memory that attempted to break “the record”. 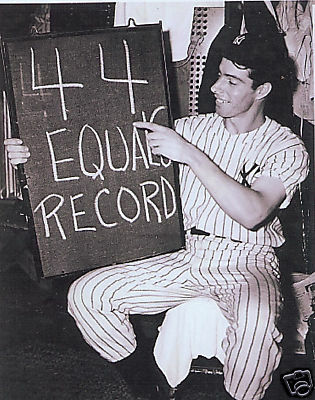 One of the most, if not the most holy records in all of sports, is Joe DiMaggio’s 56 game hitting streak in 1941. Many players have tried but few have come close to DiMaggio’s magic number. Consider that six players EVER have hit for 40+ consecutive games and only two have achieved the feat since 1922. Pete Rose with a 44 game streak back in 1978 and DiMaggio with the record 56 games in 1941. That’s it. It’s not like DiMaggio has the record by a short margin either. Sitting at #2 is Willie Keeler with 45 games between 1896-1897. A full 11 game difference. To put the record in another context: Keeler has the record for 44 years until DiMaggio breaks it. Now DiMaggio has been the holder for 69 years and counting. The consecutive games hitting streak record is one that does not fall very often. Given the pace of DiMaggio’s record, we may never see anyone break it. Ever. Pete Rose and Paul Molitor were two of the recent athletes that were approaching “the streak”. Jimmy Rollins had a 38 game streak between 2005-2006. From there, Luis Castillo and Chase Utley had 35 games each respectively and Benito Santiago had a 34 game streak back in 1987 (the juiced ball year, as often described by baseball experts). If you throw out 1987, you would be left with very few modern-day players at the top of the game hitting streaks leaderboard. 23 out of the top 30 streaks occurred before 1970 and the majority were in the early 1900s. For all the talk of steroids and “cheaters” shattering hitting records, I do not see any of the accused or suspected hitters from recent times on the list. Barry Bonds as a prime example of a hitter that was considered with a near perfect batting eye in his hey-day…not on the list. But aside from Bonds, think of Ichiro Suzuki competing for batting titles year-in and year-out. Not on the list. John Olerud batting close to .400 for much of 1993…not on the list. From there, let’s point to some of the greatest hitters of all time. Stan Musial had a 30 game streak in 1950. Ty Cobb had a 40 game streak as well as a 35 gamer back in the day. But…no Ruth. No Williams. No Mantle. No Ripken. No Puckett. No Rickey. For all the accomplishments of so many of these great hitters, hitting the consecutive games leaderboard was not in the cards. This really starts to put into perspective the difficulty of achieving Dimaggio’s record and how amazing his accomplishment really was back in 1941. 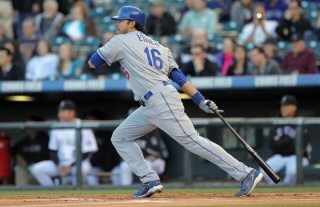 Fast forward to 2011: Andre Ethier going into Friday’s action is at 29 games. He is just over halfway the mark to beating DiMaggio’s record. I have long been an admirer of Ethier’s capabilities on the baseball field and it does not come as a surprise to me that he would reach this point. Ethier has a .295 lifetime AVG with a .367 OBP. This man knows how to get base hits and to take walks, as he has a great eye at the plate. A couple of years with 160+ hits is nothing to sneeze at. With Matt Kemp hitting behind him and still under 30 years of age, the sky is the limit for Ethier. The talent and tools have always been there and now it is just a matter of putting it together. 1) Injuries: Ethier would need to keep perfect health or close to it, in order to hit in 28 more consecutive games. Consider that Ethier missed Wednesday’s game with elbow inflammation. While being fairly durable for most of his career, like most players, Ethier will miss the occasional game to rest his broken down body during a long baseball season. 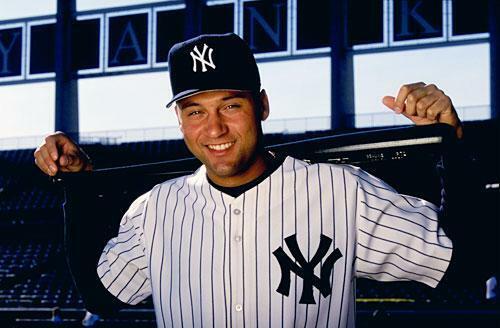 Few players can play as many consecutive games as Cal Ripken and few would want to. When Ethier misses a game, the streak stays intact. But if he ever has to come out of a game after receiving an at-bat, the streak would be broken. Considering the ailments that he could suffer during a game (including the current elbow issue), the chances of being able to play nine innings in every game and produce at least a hit per game is nearly impossible. 2) Lineup protection: Right now the Dodgers offense is based on Kemp, Ethier and hope. With very little solid hitters surrounding him in the lineup, there is a strong chance that teams will be tempted to pitch around both Kemp and Ethier throughout some games. 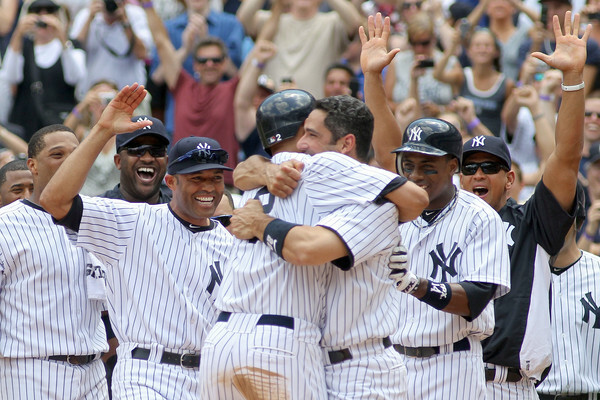 We are not looking at a Yankees type lineup where nearly every hitter is an all-star. Loney, Barajas, Carroll, Uribe and Gwynn are not names that will strike fear into the heart of any opposing pitcher. With so many opportunities to be pitched around, Ethier will have some games where he will be lucky to see maybe a handful of fastballs. As the streak would lengthen and with games on the line near the 8th and 9th inning, I would not count on Ethier receiving quality pitches. If Ethier walks an entire game, the streak remains alive until the next day. But if Ethier is out at least once or has a sacrifice fly with no hit, the streak would die. Unless some of his teammates have rebirths at the plate, the odds are against Ethier having enough pitches to hit every game in order to keep his streak alive. 3) Schedule: Take the month of May alone. The Dodgers have games coming up against the Giants, Brewers and Marlins, plus the Phillies in early June. Ethier may be going up against Lincecum, Cain, Greinke, Johnson, Halladay and Lee. Some of the best pitchers in baseball, who tend to be very stingy with hits allowed. Not only are the above named pitchers great, but they are also very proud. Lincecum and Johnson would have no issue bringing their “A” game and shutting down Ethier for a night. We are talking powerful pitchers with big egos, which is not the best combination for a hitter attempting to keep a hitting streak alive. Friday brings Jon Niese and the Mets, which would be considered a good matchup for Ethier. But not all games are created equally and with a tough schedule ahead and little lineup protection, the odds are against long-term success. 4) Relief Pitching: Once upon a time when starting pitchers used to stay out for 150+ pitches per game and pitch complete games, hitters like Ethier had easier chances for a consecutive games hitting streak. Check again the timing on the above leaderboard and you will see since the dawn of specialized pitchers, the number of hitters that have achieved 30+ consecutive games hitting streaks is miniscule. This is neither an accident or fluke. We are in an era where starting pitchers go 5-6 innings per start on average, with specialized 7th and 9th inning relievers, right-handed and left-handed specialists and of course, the closer. Take Kansas City, that can throw Collins, Crowe, Jeffress in the middle innings of a game and then turn the ball over to Soria. The Braves have Kimbrel and Venters. The Reds with Chapman and Cordero. Keep in mind Ethier bats left. All opponents will have no problem in throwing out a left-handed specialist in the late innings to get Ethier out in a tight game. Check out the splits this year: In 84 at-bats against right-handed pitchers, Ethier has a .429 batting average. Contrast that to 35 at-bats against lefties and he is hitting to the tune of .229. The lefty-on-lefty matchup will likely be Ethier’s downfall as he is susceptible to more frequent outs against lefties. The game as it is set up today allows for fresh, hard-throwing pitchers to enter games in strategic times to neutralize hitters. Chapman and his 105 mph fastball could end up making or break this streak for Ethier. 5) Pressure and Luck: With the turmoil surrounding the Dodgers team ownership, fans and media are clamouring for any feel good story to grab and hold onto. Ethier is already starting to face a huge amount of pressure in this day and age of internet and instant access (yours truly included) to information and reports for fans. As the streak continues, the amount of attention faced by Ethier will be mind-boggling and while professionals are supposed to block out distractions, the reality is that baseball players are human like you and I, not machines. Ethier cannot help but think about the streak as it is brought to his attention and mental can make physical. If the pressure gets to Ethier in some form, the streak is unlikely to stand a chance. Combined with luck and chance, Ethier has the odds naturally against him. Strong contact and well-timed hits can turn into outs based on the defenses that oppose the Dodgers on any given night. 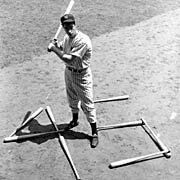 For Ethier to sustain a hitting streak approach DiMaggio’s, he would need lady luck on his shoulders in addition to hard work and strong effort. They say that some people can be lucky for some of the time. But nobody can be lucky all the time. Ethier will need the luck with skill to thrive and the fortunes say that luck has to run out on at least one night during Ethier’s run. My sincere congratulations to Andre Ethier for what he has accomplished to-date. I will be watching every Dodgers game and Ethier at-bat with interest to see how far he gets. Nobody would cheer for him louder than me if he could come close to Joe DiMaggio. While wishful thinking is hopeful that there is a chance, logic and reason dictate that this is likely, if not impossible to happen. 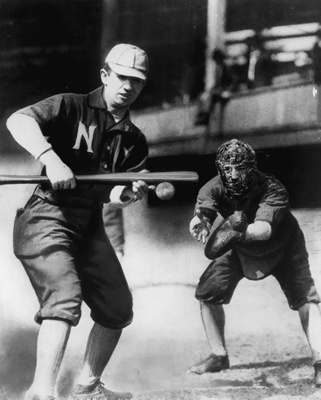 Baseball today is not built the way it used to be and while there are exceptions to the rules, the law of averages tends to win out every time. I cannot even begin to fathom that Andre Ethier would be able to accomplish what Williams and Ruth never could. In our lifetime we have seen home run records shatter, baseball crown a new all-time hits king, no-hitters thrown on almost a monthly basis (including 2 by Halladay last year alone, the second in the playoffs nonetheless)…heck, even the saves record fell. 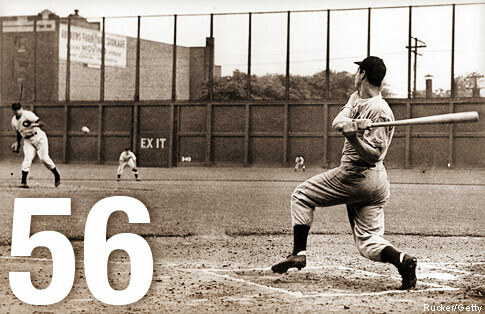 But the legend of Joe DiMaggio and #56 continue to live in the records. Together with Cy Young and 511 wins, Cal Ripken with 2632 consecutive games played and Pete Rose with 4256 career hits are all records that are virtually impossible to break. Until Andre Ethier reaches 40+ consecutive games with hits, let’s leave the legend of Joe DiMaggio apart from the equation. Ethier is on a nice run but has ways to go before coming close to greatness. Good luck Andre: all the best from MLB reports!